"Excellent design and great customer support. Very happy to work with the designer who has been supportive and very quick !! Thank you. 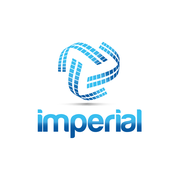 Kirti Vagher Imperial"
"Dear MasterCT, Thank you using your creativity for us, you have done a good job. We are glad to have you in the contest. Cheers! " "MasterCT was professional, prompt and provided me with a logo design that was at the same time professional / clean and young / modern. I look forward to potentially working with him again in the future and am excited to use my logo and colours on my w..."